The FB hyperlink doesn't work just so you know. Instagram link doesn't work either. Trimmed some posts per request. Please remember to keep the Service Review rules in mind prior to adding any posts, and try to keep all posts neutral and informative. I know this post is old but its makes me happy i wants the only one having problems with her. I still didn't get a reply and i was talking to my girlfriend about it since she did in fact buy him from her. I'm not trying to point fingers at her if this was a lie or not but i believe that she could had said something to me, transfer the oc to me or has send the picture of him to my girlfriend before hand. 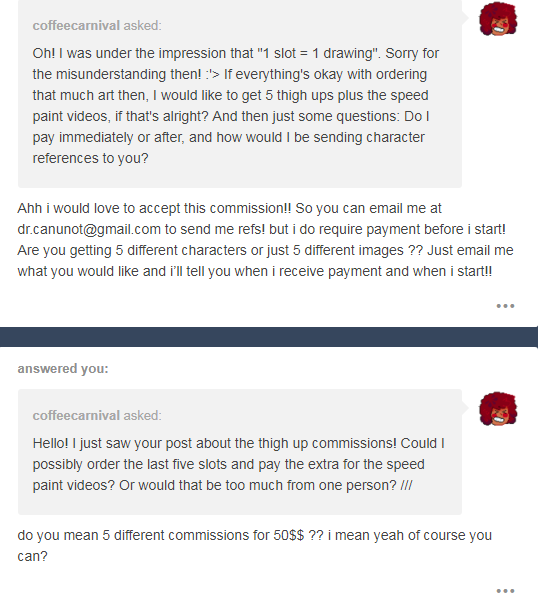 In the same day she post a post on her twitter of ocs in her for sale folder including the oc my girlfriend had bought for me. 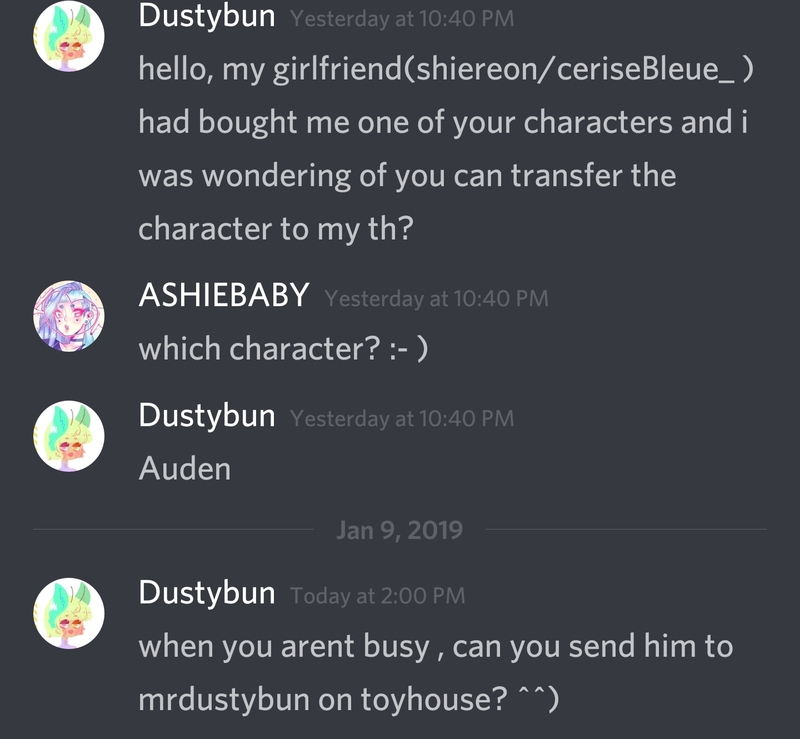 I thought it was super unprofessional of her to do that since that character was already be bought and i asked for her to transfer him to my toyhouse before hand. 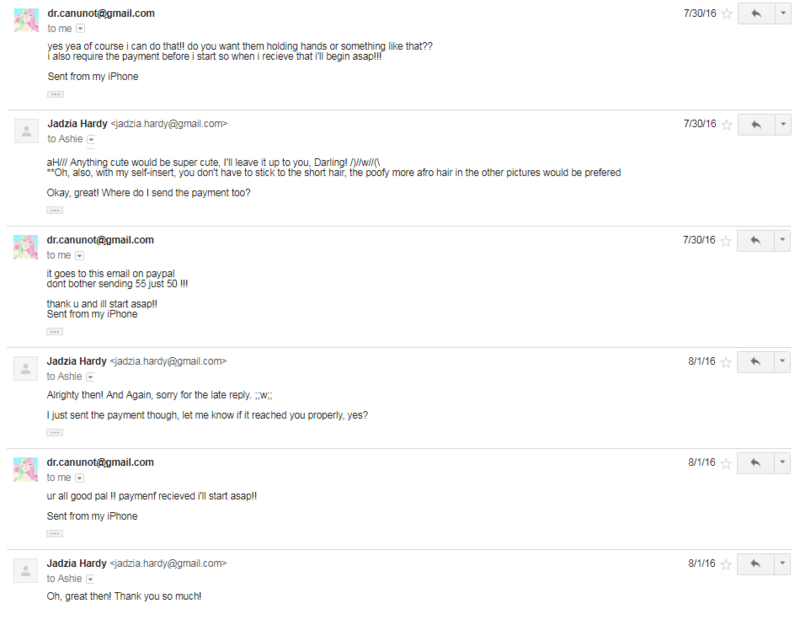 Then after waiting a day(or more) and a couple of hours with little to no reply, she finally transfer him not to me but to my girlfriend. Sorry for any spelling or grammar errors! Their deviantart is now inactive!